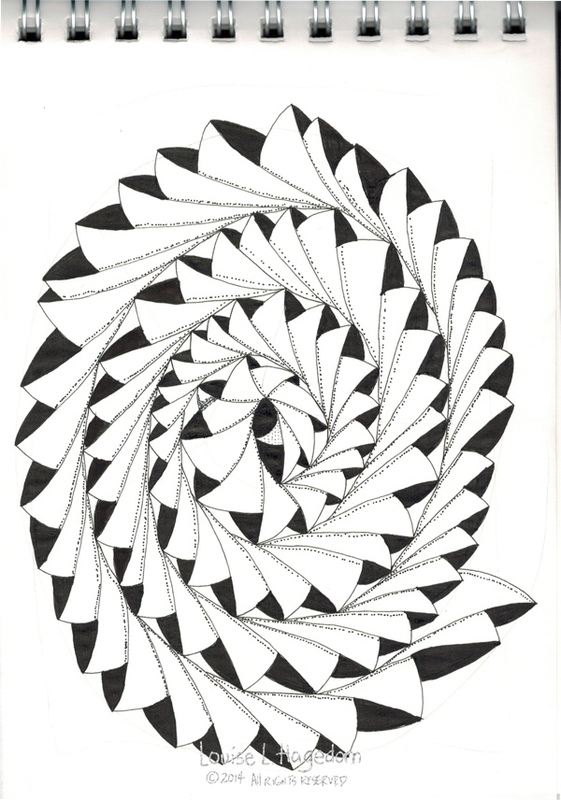 This week’s challenge is to use a spiral as your thread. Laura Harms’ website also has the instructions for phicops. The pens I used for this are 1.0mm, 0.5mm, 0.3mm, and 0.1mm Staedtler tech pens.